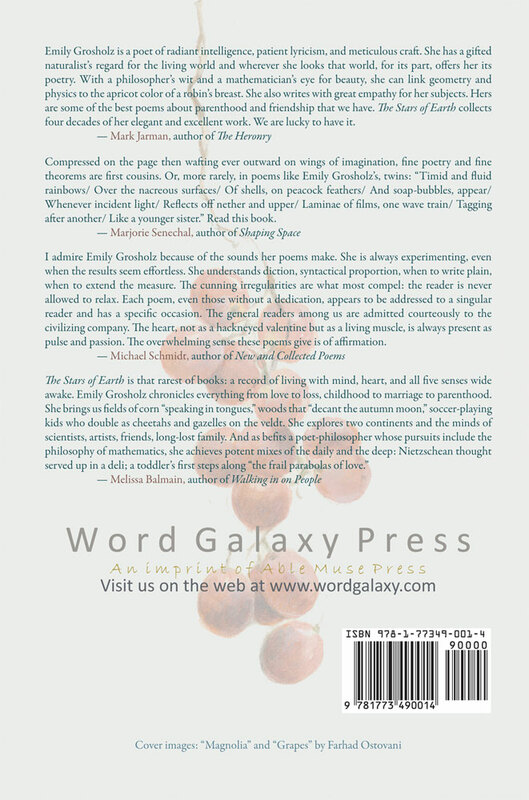 Emily Grosholz weaves elements of philosophy, mathematics and the sciences into her experience of the social and natural world, to produce wise and cosmopolitan poetry of high lyricism. 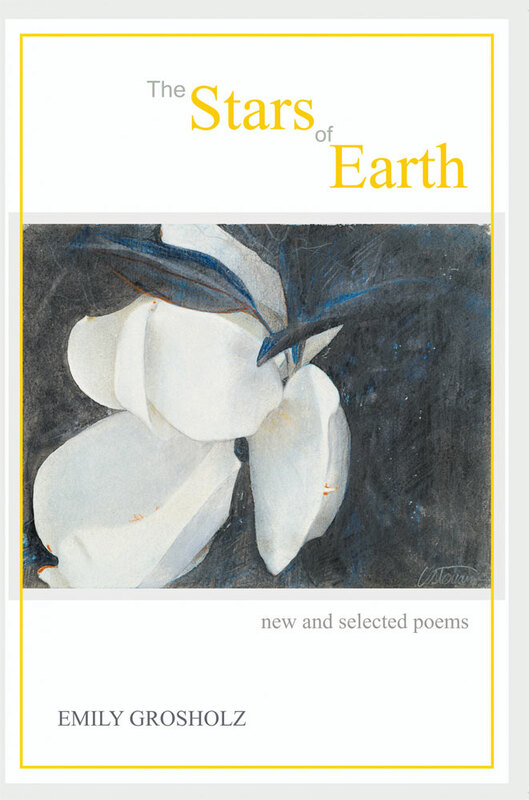 The Stars of Earth starts with new poems chronicling the months of a year lived and observed, followed by selections from Grosholz’s previous volumes in chronological order. This rare treasury spans four decades of Grosholz’s acclaimed poetry. Emily Grosholz is a poet of radiant intelligence, patient lyricism, and meticulous craft. She has a gifted naturalist’s regard for the living world and wherever she looks that world, for its part, offers her its poetry. With a philosopher’s wit and a mathematician’s eye for beauty, she can link geometry and physics to the apricot color of a robin’s breast. She also writes with great empathy for her subjects. Hers are some of the best poems about parenthood and friendship that we have. The Stars of Earth collects four decades of her elegant and excellent work. We are lucky to have it. Compressed on the page then wafting ever outward on wings of imagination, fine poetry and fine theorems are first cousins. Or, more rarely, in poems like Emily Grosholz’s, twins: “Timid and fluid rainbows/ Over the nacreous surfaces/ Of shells, on peacock feathers/ And soap-bubbles, appear/ Whenever incident light/ Reflects off nether and upper/ Laminae of films, one wave train/ Tagging after another/ Like a younger sister.” Read this book. Emily Grosholz was born in the suburbs of Philadelphia, and attended the University of Chicago and Yale University. Since 1979 she has taught at the Pennsylvania State University, where she is now Edwin Erle Sparks Professor of Philosophy, African American Studies, and English. Her first book of poetry, The River Painter, appeared in 1984; her most recent book, Childhood, has been translated into Japanese, Italian and French, and has raised $2500 for UNICEF. She has lived in France, Germany, and the UK, and traveled to Japan, Russia, Costa Rica, and around the Mediterranean and the Baltic. She and her husband, Robert Edwards, raised four children in State College, Pennsylvania, on the flanks of the Tussey Ridge, countryside that they and their neighbors, with the ClearWater Conservancy, are working to protect and preserve. Her book, Great Circles: The Transits of Mathematics and Poetry, will be published in 2018 by Springer.